Pintley and Burger Conquest are proud to present The Boston Winter Good Beer Passport! By purchasing a passport, you’ll get one full craft beer at every one of the 19 participating locations. You can use them any day, any time from January 15th through March 13th, 2015. 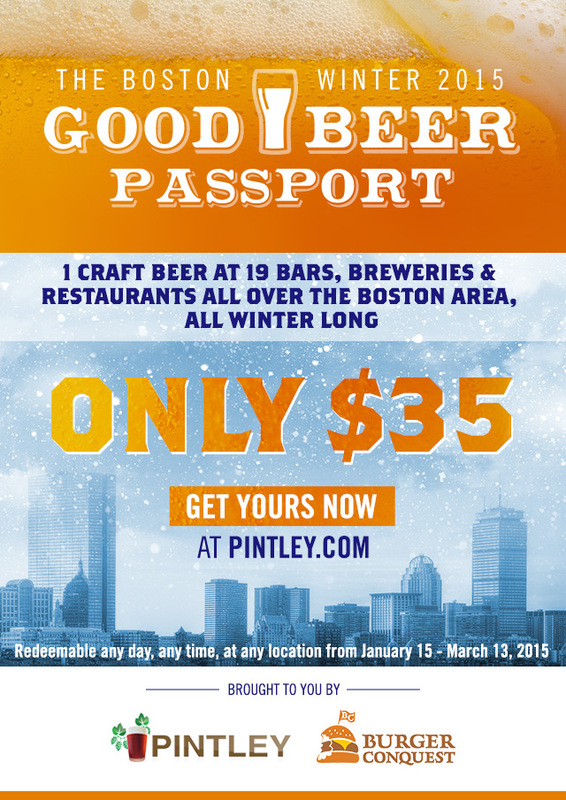 So grab your friends, brave the cold, and go on an adventure through the world of Boston’s Craft Beer this winter! Bring your passport to each of the 20 participating locations any day from January 15th through March 13th, 2015 and choose one full pour draft or bottled beer at each location.